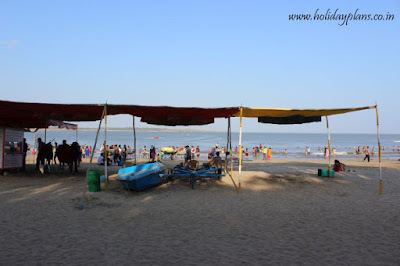 We had travelled to Diu last night from Somnath and stayed overnight here only. 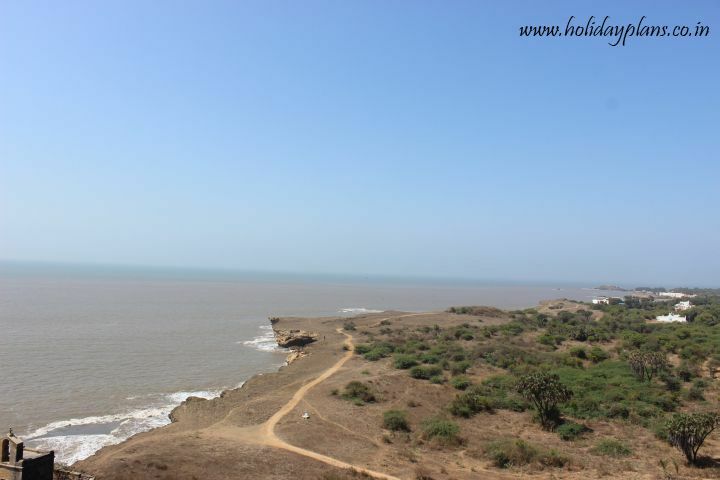 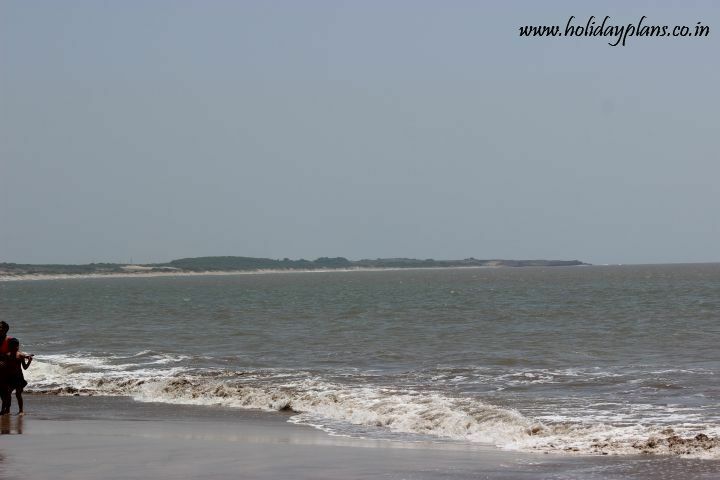 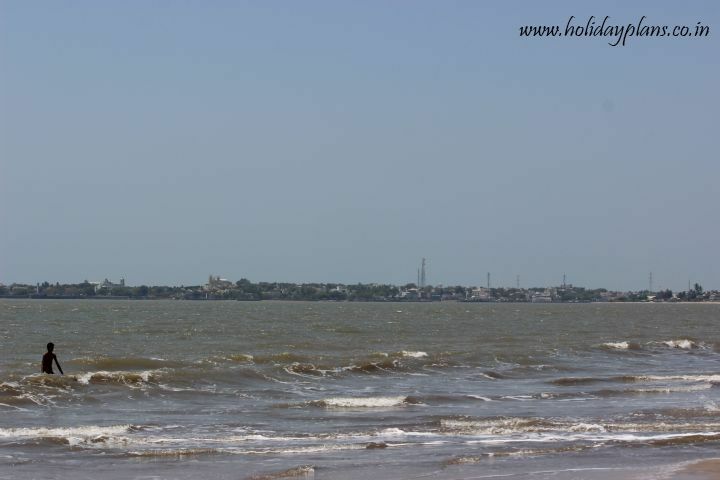 This small island is situated south of the Kathiawar peninsula in Gujarat and about 90 kms from Somnath. Till very recent times this island remained less explored by the people in terms of tourism. But the beauty of this island is unparalleled in its own sense. 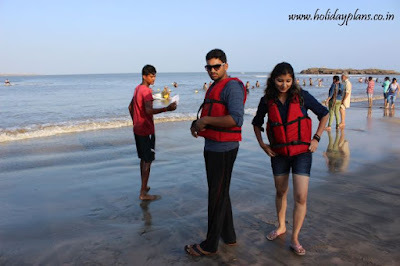 Because of the forts, churches and the serene beaches with water sports (also the booze as it is a Union Territory ;)) people often compare it with Goa and term it as Mini-Goa! 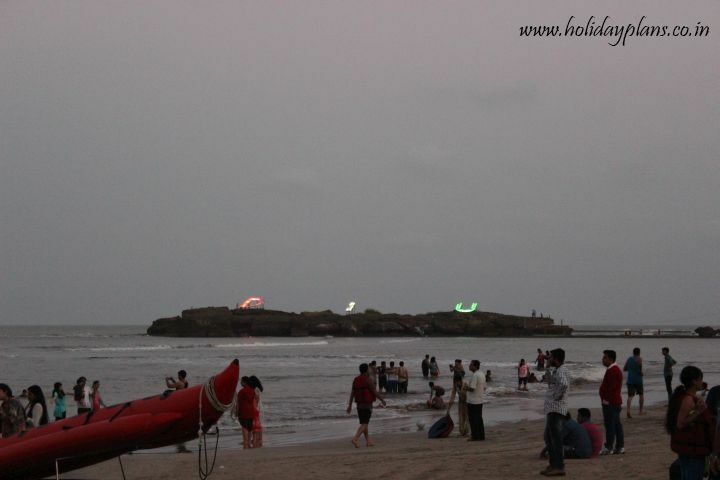 Diu – all lit up! 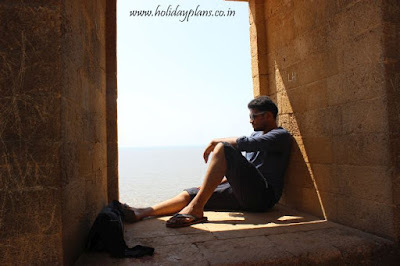 We had 2 days to fully explore this place and I had planned upon the itinerary accordingly. 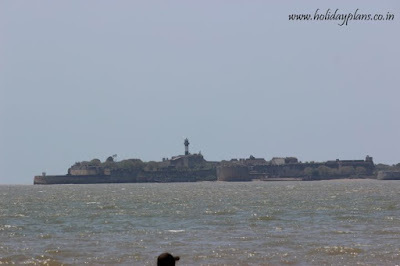 We started the day with a visit to Diu Fort! 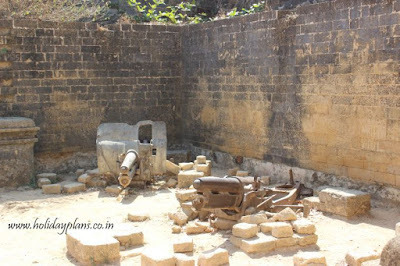 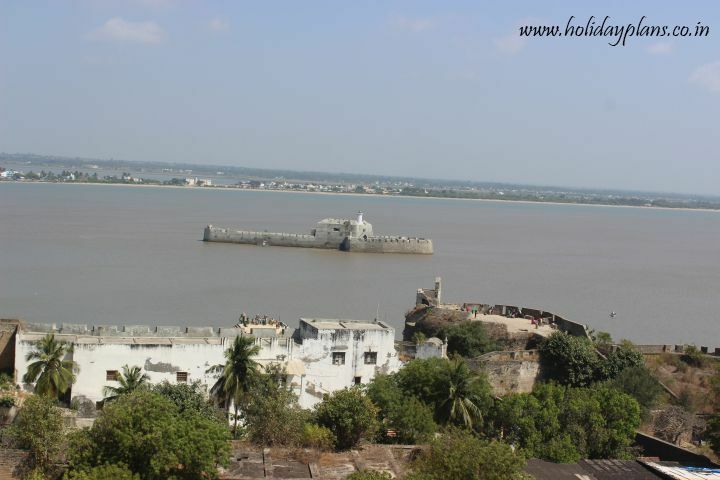 Diu fort is located on the west coast of Diu Island. 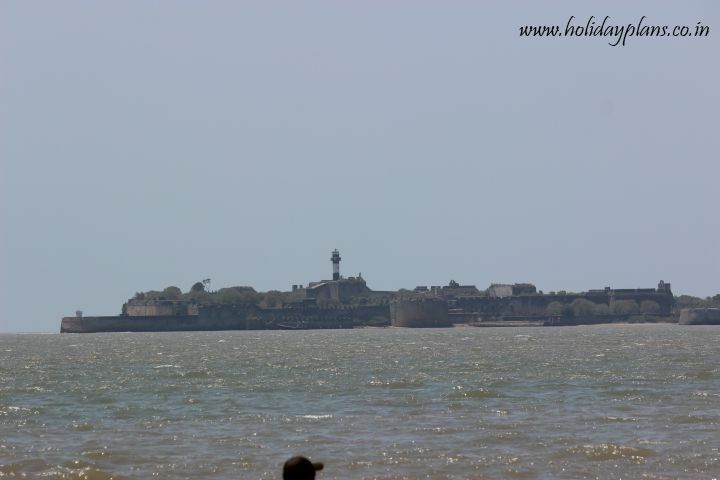 It was built by the Portuguese in the 16th century during their colonial rule over this island. This fort though in ruins is still in a better shape than Goa’s majority forts. 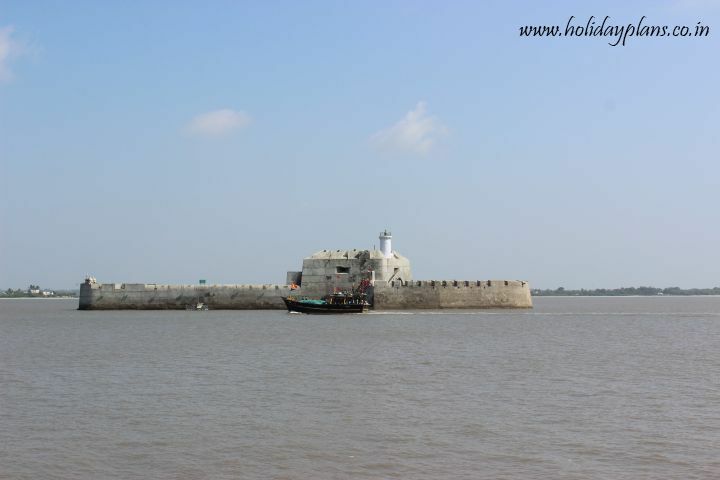 At a distance from the Fort a ship like structure is present named “Pani Kotha” which was used as a haven for the people of the family of King if any threat to the kingdom occurred. As told by people here there is a safe underwater passage to Pani Kotha from the fort which was being used in case of emergency. 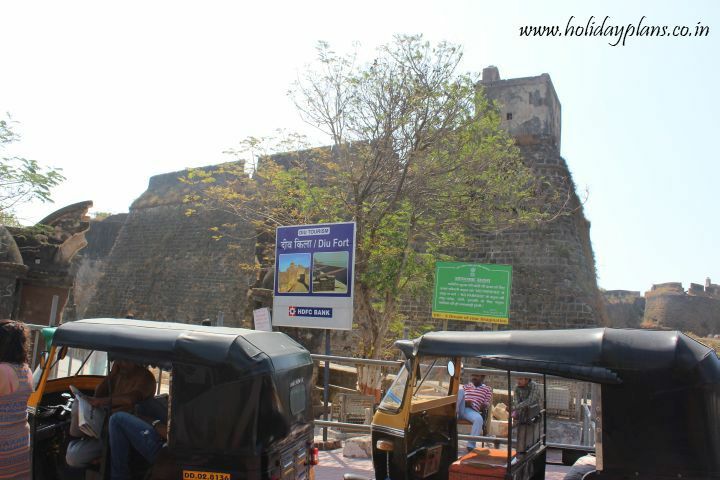 The movie “Qayamat – City Under threat” starring Ajay Devgn, Neha Dhupia , Sanjay Kapur and Arbaaz Khan was filmed here. 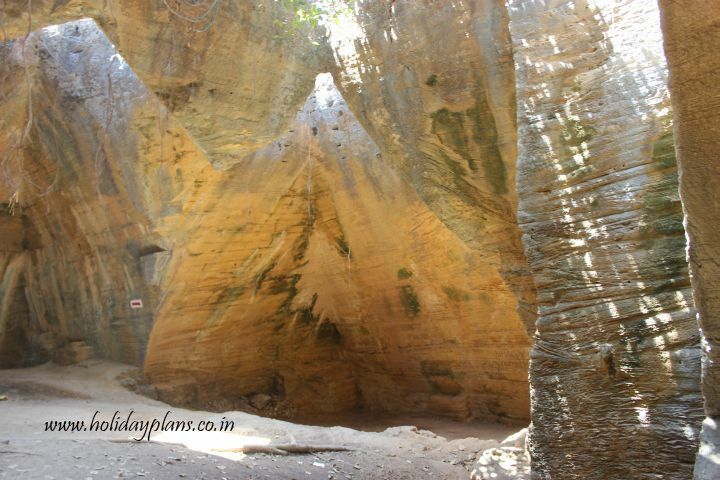 Our next stop was the Naida Caves. 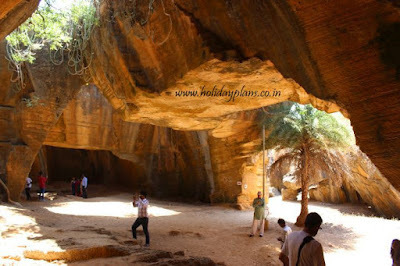 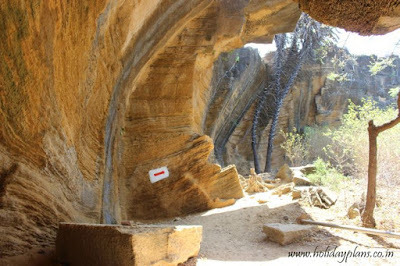 These caves are formed as a result of different geological processes. 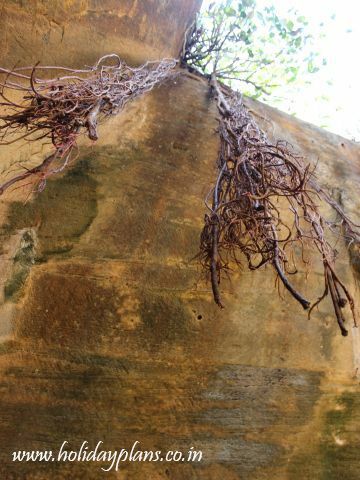 They have an intriguing, overgrown network of square hewn hollows and steps leading off into nowhere. Very recently discovered and are still in phase of discovery. 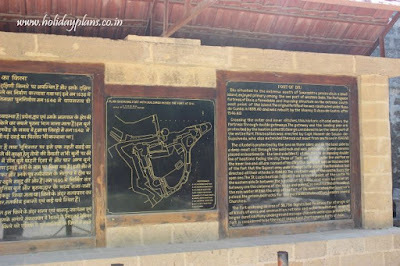 You get a feeling of “Bhul Bhulaiya” here, because if you’re lost then it might take you a bit of time to find your way out. 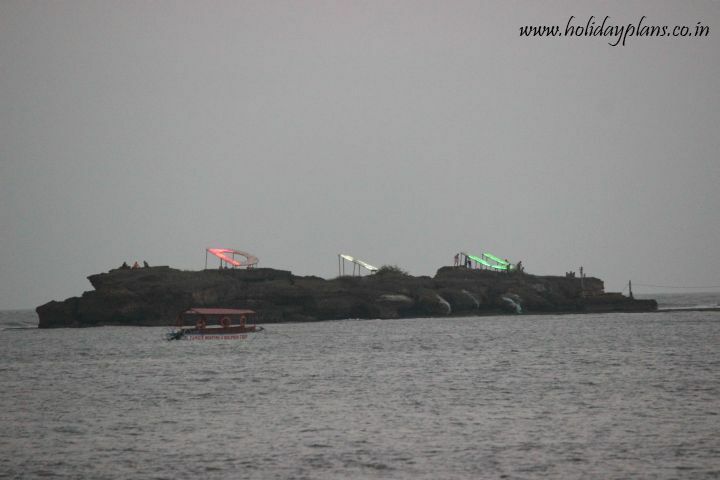 What’s more to this place is that the cool weather and calmness of this place is just awesome. 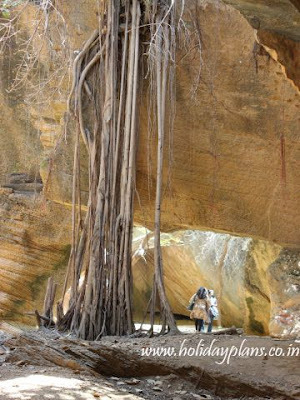 The images will speak for themselves about the beauty of this place. By the time we were free from the Naida Caves we were feeling tired and hungry. 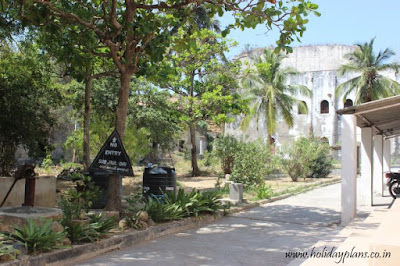 So we decided to move back to the hotel as we still had lot of time with us. While we moved to the hotel we stopped by a beach – Ghoghla Beach. It is one of the calm and peaceful beaches in Diu. When we reached the beach there were very. 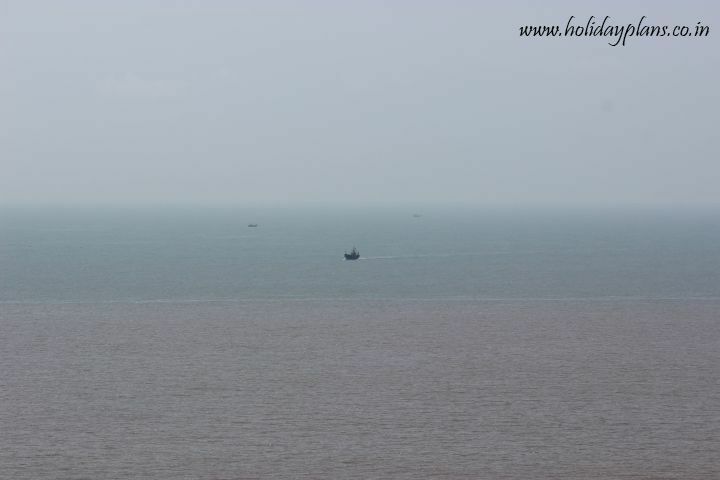 We spent some time just enjoying the view that it offered and moved to the hotel afterwards. 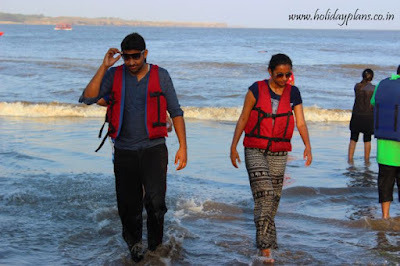 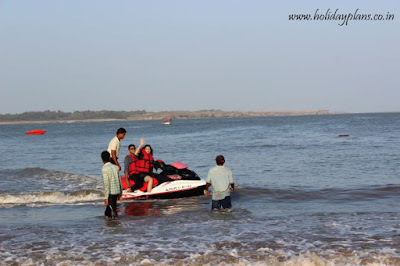 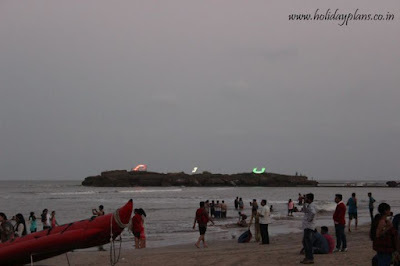 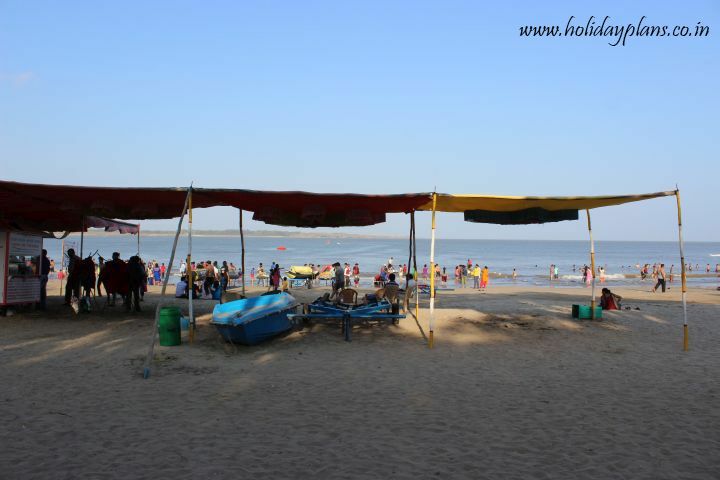 Around evening we set off for the most happening beach of Diu – Nagoa Beach! 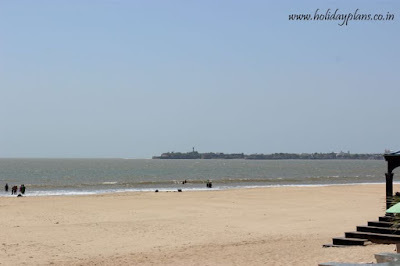 By no means is this beach lesser than the Calangute or Baga beach of Goa. The crowd, the views and the facilities of water sports all just make this beach a perfect place of hangout for all age groups. We tried our hand at Jetski and Parasailing. Both of them were completely enthralling and adrenaline pumping. As we enjoyed all this it was time of the sunset and the views looked even more beautiful with the DIU board lit up! 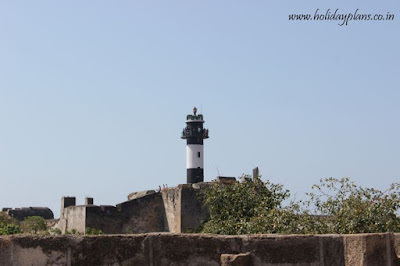 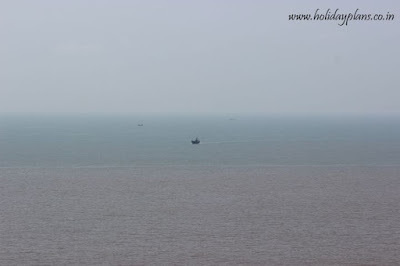 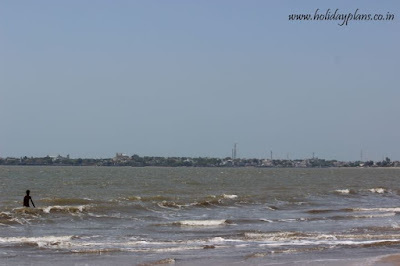 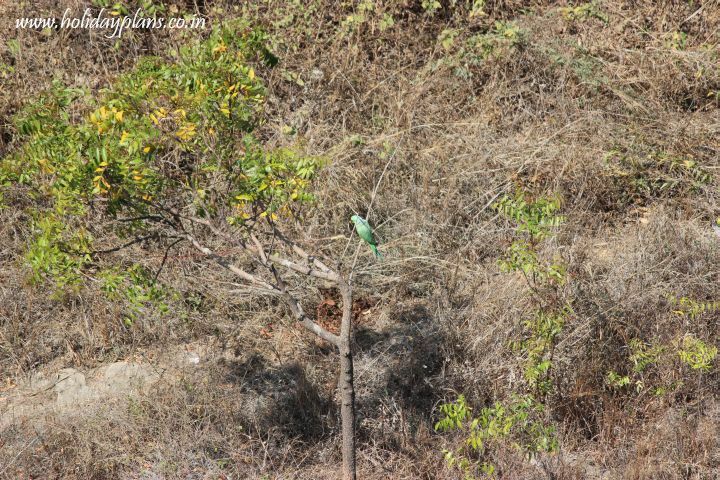 The first day in Diu was just as I had imagined it to be if not more! 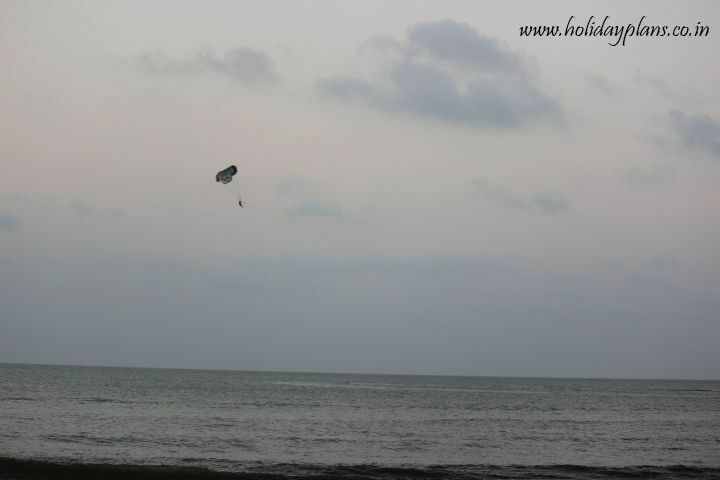 I was super excited and satisfied at the same time. 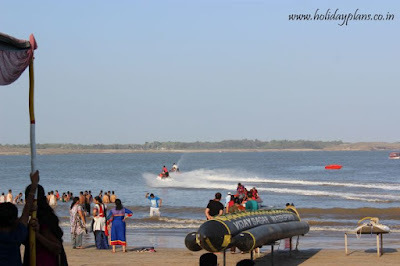 I had always loved the beaches but the water sports here just added to the elation in every sense! We have one more day in Diu. 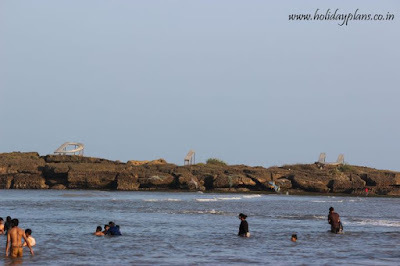 We will visit Gangeshwar Temple , Sunset Point , Diu Museum , Church and once again Nagoa beach. 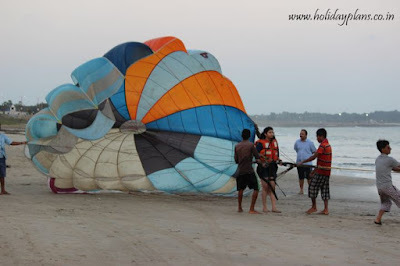 I am sure it will be as awesome as the 1st one! Till then enjoy, relax and keep Holidaying! 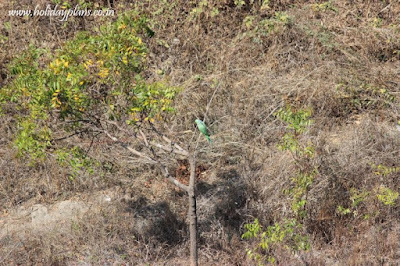 Also wishing all of you a Merry Christmas!! 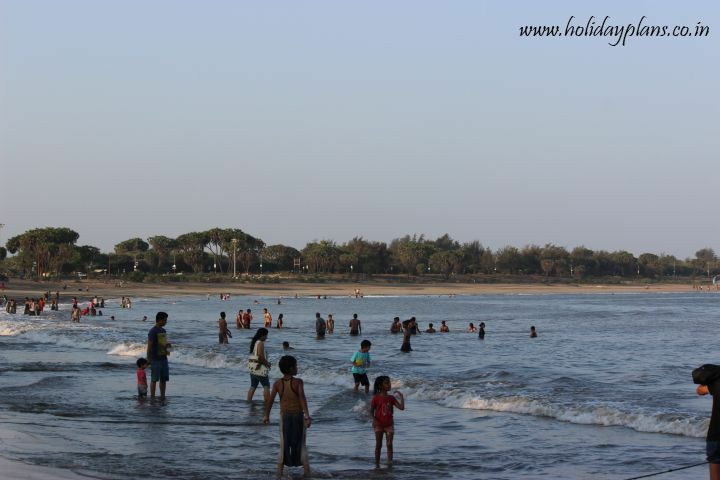 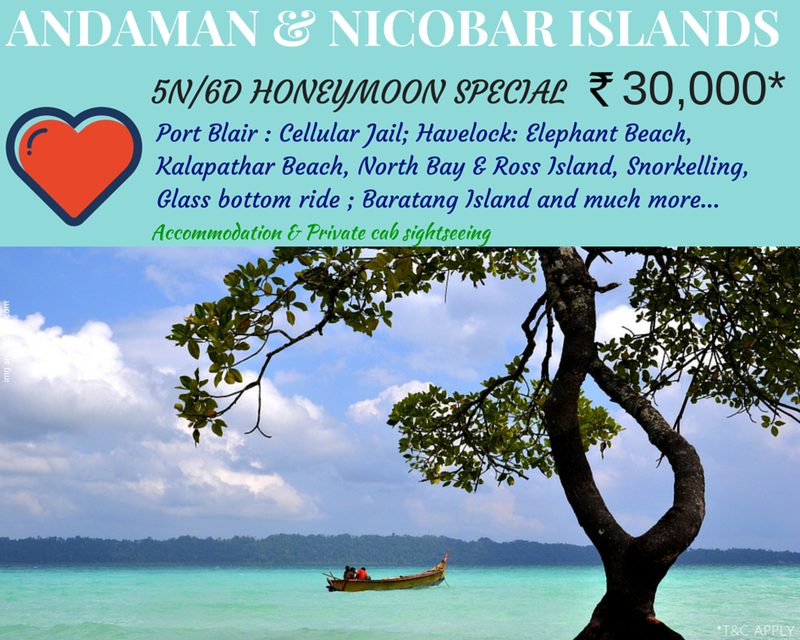 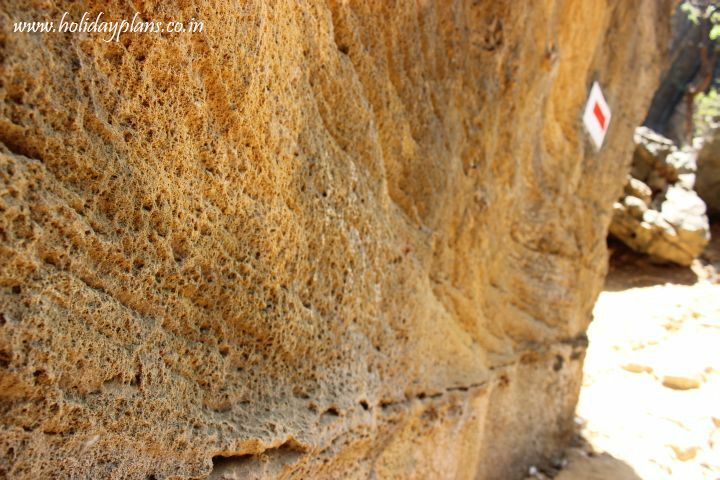 Planning a trip to Diu ?? Feel free to get in touch with us with for any help for your trip.